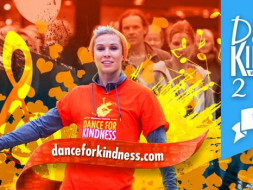 Dance for kindness is a global fundraiser for the not for profit organisation based in the US called Life vest Inside. Life vest inside deals with social issues and uses Dance for Kindness as a medium to spread the word of love. The idea is that a simple act of kindness can change someones life! In order to organise the event in Bangalore, I am on the lookout for funds so that I can carry forward the event (booking a venue, printing etc) . We also have onboard a local NGO called Samarthanam in HSR layout and we intend to get visibility for them through this. The funds are going to be used to conduct the event. However, if we manage to get a subsidy then the remaining amount goes to Life vest inside for their future endeavours. It is a freezemob and flashmob to bring awareness to Life vest inside, the local NGO we are supporting and the message of kindness. Does the money go only to organize the event? We are trying to make the event as cost effective as possible t o make sure raised money goes to the organisation. Why do the event, why not just raise money for the organisation? Life vest inside aims at spreading the word of kindness through this event. With this event the organisation and it's mission gets maximum exposure. With this we also want to get Samarthanam ample visibility and help.